The myth of an unbroken continuous weekly cycle is the foundation upon which the "mark of the beast" will rest. Think that Saturday is the Sabbath observed by Adam, Noah, the Patriarchs, Moses, the Prophets, Yahushua, and the Apostles? Think again! Time is short, beloved of Yahuwah. Study to show thyself approved. 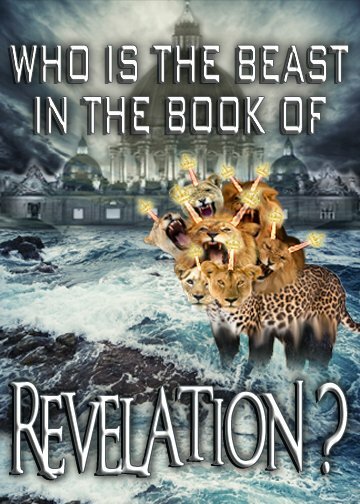 Who is the infamous "beast" of Revelation? In Revelation 13, we find two beasts: (1) a beast from the sea; (2) a beast from the land. It is primarily the first beast that we are here concerned with, though, because it is his mark that we want to further explore. 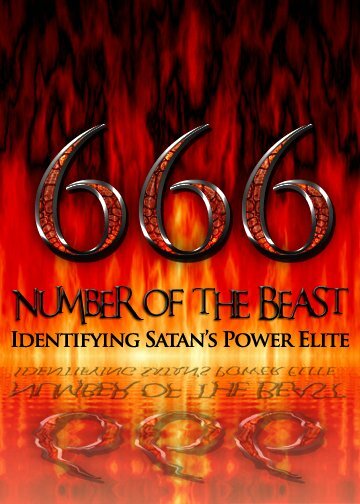 For more on the beast from the land, please refer to: The USA in Bible Prophecy (Content Directory). The first beast in Revelation 13 is irrefutably Rome and, by extension, the Roman Catholic Church (RCC). When the attributes and history of the Catholic Church are juxtaposed with the characteristics of the sea beast given by the John the Revelator, we find an incomprehensibly perfect match. When we add to this John's description of the "harlot" in Revelation 17 and Daniel's depiction of the antichrist power in Daniel 7, we are left with no room to doubt what the RCC's role is in Bible prophecy. The Roman Catholic Church perfectly fits every detail of the prophetic description. The RCC is the "beast." The RCC is both a Church and a City. The RCC is seated upon Seven Mountains. The RCC is arrayed in purple and scarlet, and adorned with gold and precious stones. The RCC asserts power over ALL the inhabitants of Earth. The RCC arose within a densely populated area with cultural diversity. The RCC completely eradicated three other kingdoms when rising to power. The RCC makes war with the Saints. The RCC has a single man acting and speaking for the whole. The pope exalts himself as high as Yahuwah. The pope is identified with the number "666." The RCC speaks pompous words and blasphemies. The RCC has attempted to change Yahuwah's Calendar and Law. The RCC ruled supreme for 1,260 years. The RCC was stripped of authority by a civil power and taken into "captivity." The RCC was mortally wounded (but will ultimately recover). For a detailed explanation of the Catholic Church's perfect fulfillment of the above points, please refer to: Who is the Beast in the Book of Revelation? 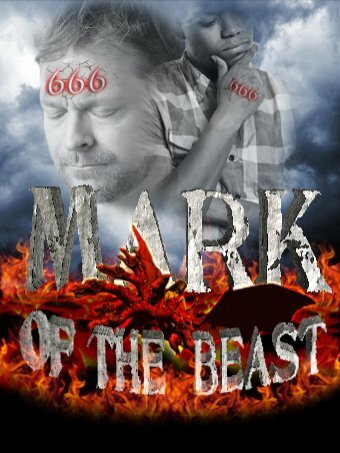 What is the beast's "mark"? We know with certainty that Rome is the "beast." So, rather than generalizing about what "the beast's mark" is, let's be specific and ask what "Rome's mark" is. To find the answer, we do not have to look far. The RCC, in her gross arrogance and Luciferian pride, unashamedly boasts that the "mark" of her authority is the exaltation of Sunday. This, she says, is proof that she is "above the Bible." Sunday is our mark of authority . . . the church is above the Bible, and this transference of Sabbath observance is proof of that fact. (Catholic Record of London, Ontario Sept 1, 1923). What is often overlooked here is that it is not just a change of days that the RCC arrogantly boasts of, but a change of calendars. While many scholars, even within the RCC itself, are apparently ignorant of this fact, history bears it out with no uncertainty. We will expand more on this later. The Catholic Church's boast that she has the power to change Heaven's Holy Days is the fruition of Satan's long cherished aim of receiving worship - by establishing when to worship. "Congregation" in the above passage is translated from the Hebrew word, mo'ed, which "is used in a broad sense for all religious assemblies. It was closely associated with the tabernacle itself. "1 Satan's goal from the beginning has been to establish when to worship, and by virtue of exercising that power, usurp the right to be worshiped. 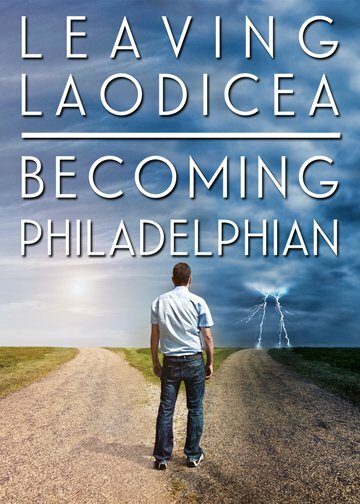 The Roman Catholic Church, as his earthly agent, has aided and abetted him every step of the way. How sad it is to see so many professed Christians today indifferent to the testimony of Scripture and the climax of the ages that is unfolding before them. It is utterly heart-breaking to see so many of Yahuwah's professed people complacently seated upon the pews of tradition while His living word, covered with the dust of neglect, cries out for her children. What is the antithesis of the beast's "mark"? In Scripture, we find that not only does Rome have a "mark," but Heaven does also. Sometimes referred to as a "seal," Heaven's mark is the antithesis, or direct opposite, of Rome's mark. It is utterly heart-breaking to see so many of Yahuwah's professed people complacently seated upon the pews of tradition while His living word, covered with the dust of neglect, cries out for her children. Note: When speaking of Heaven's seal/mark here, we say "loving obedience" to the divine law because we cannot earn Heaven's favor by works or by outward ceremony. We all, without exception, are unworthy of the Father's favor and love. "Our righteousnesses are as filthy rags"3 in the sight of Heaven, and our only hope is Yahushua and His righteousness. Keeping the Father's commandments is the fruit of our salvation, not the root. All who are truly in a saving relationship with the Father, and who have a living connection to Him, will joyfully keep His commandments and will live up to all of the light available.4 It is here that Yahuwah's seal/mark is received, for it is our loving obedience that reveals His spirit working in us. More than 2,500 years ago, the prophet Ezekiel penned a remarkably prophetic description of the calendrical dichotomy that we are today witnessing. His description could not be more accurate as, today, millions of professed Christians are standing with their backs to Yahuwah's law while exalting Rome's counterfeit solar calendar. Naturally, when we understand the tremendous importance of Heaven's feast days (calculated by Heaven's calendar), we become increasingly distraught over those who knowingly or unknowingly disregard them in favor of the beast's days, e.g. Saturday/Sunday, Christmas, and Easter. This genuine remorse is known to Father Yahuwah, as is every thought, emotion, motive, and intention of the heart. In loving condescension, He places His mark (or seal) upon all who sigh and cry over the abounding lawlessness and high-handed abominations. 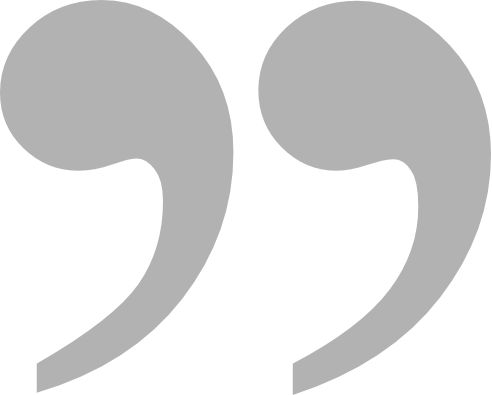 The Mark: Literal or Figurative? The hand is used throughout the Old Testament to denote one's actions or practices. To bear something as a mark/sign upon the forehead is to believe or endorse it with the mental faculties. To bear something as a mark/sign upon the hand is to endorse or support it through action or practice. Bear in mind that John was a student of Scripture. He was thoroughly familiar with the writings of Moses and the prophets. The imagery that he saw in his visions and the language that he employed when communicating them was not foreign to him. He would have understood everything in the context of the Old Testament Scriptures. And this is how he would have expected his readers to interpret everything that he penned. What role does the modern weekly cycle play in all of this? As mentioned earlier, the modern calendar is a fraud. The Gregorian calendar observed today the world over is the culmination of hundreds of years of deceit and compromise. It is not the calendar established at Creation and it is not the calendar that was observed by the patriarchs, prophets, and apostles. Prior to the establishment of the Julian calendar, the calendar of the Roman Republic was an observational lunar calendar that employed an 8-day week. 45 B.C. - The Julian calendar was established. The Julian calendar discarded the lunar reckoning of the preceding calendar6, yet continued to utilize an 8-day week. 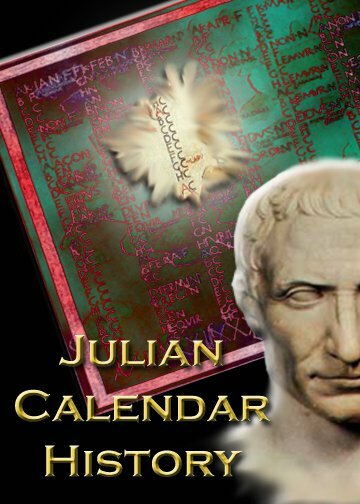 1st Century A.D. - The Julian calendar transitioned to a 7-day planetary week, beginning on Saturday and ending on Friday. 321-325 A.D. (Council of Nicaea) - Constantine formally established the 7-day planetary week, beginning on Sunday and ending on Saturday. 1582 - Pope Gregory XIII introduced the Gregorian calendar. When transitioning to the Gregorian calendar, 10 days (October 5-14) were removed to bring the calendar into alignment with the seasons. The 7-day planetary week that Constantine instituted at the Council of Nicaea was unaffected by the transition. 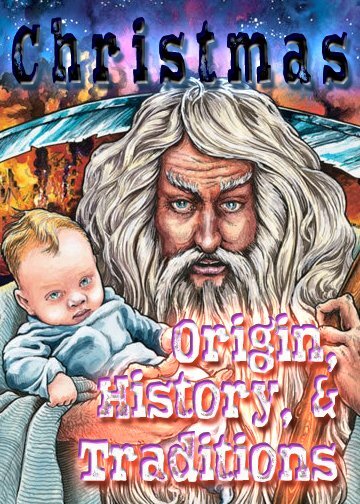 The Creator's Calendar is a luni-solar calendar, not a Roman solar calendar. Those who defiantly persist in using the beast's calendar for establishing worship times will ultimately bear his mark (the "mark of the beast"), whereas those who joyfully obey the call to "come out of her" and choose instead to worship according to Heaven's calendar will ultimately receive the seal of Yahuwah. 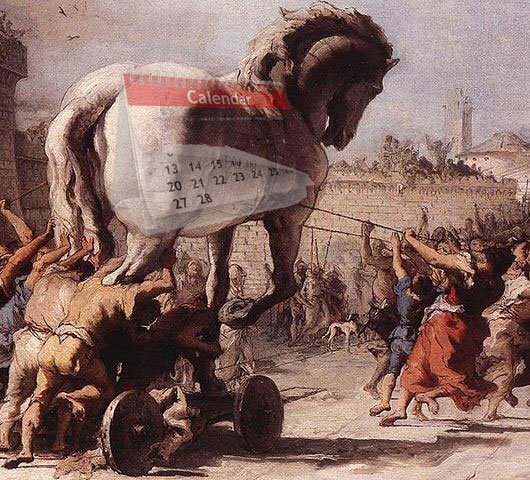 The erroneous belief in a continuous weekly cycle is a Trojan horse in the minds of the masses; it is this belief that will enable the mark of the beast to be readily accepted without detection or protest, even by many who profess a zeal for Yah's Sabbaths and feast days - because they obstinately cling to the simplicity of a Saturday vs. Sunday paradigm. Let every man and woman study to show themselves approved. In the light of Scripture's testimony and the abundance of historical evidence, there is no excuse for anyone insisting that the modern 7-day planetary week is part of an unbroken cycle stretching back to Creation week. It just isn't so. It is assumption and tradition alone that prop up this fallacious doctrine. Please do not take WLC's word for any of this. Prayerfully research this for yourself. Truth is never afraid of the fullest investigation. Let every man and woman study to show themselves approved. In the light of Scripture's testimony and the abundance of historical evidence, there is no excuse for anyone insisting that the modern 7-day planetary week is part of an unbroken cycle stretching back to Creation week. Time is short, dear friends. The world is coming unglued at the seams. We are fast approaching the climax of the ages and soon every person on Earth (including YOU) will have made their irreversible decision to either accept the Father's invitation to live forever or reject it. In the end, every person alive will either bear Yahuwah's seal or Rome's mark (the "mark of the beast"). Now is not the time to be lackadaisical about the doctrines we hold, including the calendar we adhere to and the feast days we observe. The choices we make today will decide our tomorrow, and ultimately our eternity. The modern 7-day week is not part of an unbroken cycle that stretches back to Creation. Saturday is not the Biblical seventh-day Sabbath. None of Heaven's feast days can be found on the Roman/beast calendar. The modern calendar is a Rome-birthed deception. 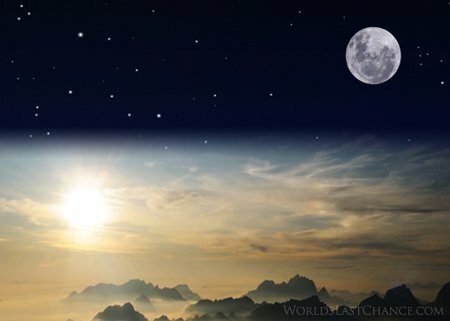 The Biblical weekly cycle restarts with each New Moon. New Moon Day is day one of the lunar month and is followed by six work days and then a seventh-day Sabbath. Six more work days follow and then another seventh-day Sabbath. This pattern repeats for a total of four weeks in each Biblical lunar month. The seventh-day Sabbath always falls on the 8th, 15th, 22nd, and 29th day of the lunar month. The Biblical seventh-day Sabbath and the annual feast days can only be found on Heaven's calendar. Will you continue to bow in allegiance to the beast's calendar? Will you accept his mark without protest or concern? Or will you, like a faithful Berean, search these claims out to see if they be so? Eternity is within reach. Choose this day Whom/whom you will serve. Do not be hardened through the deceitfulness of assumption and tradition, but seek truth will all of your heart. All Scripture quotations are taken from the KJV or the NKJV, unless otherwise noted. The proper Names of the Father and Son have been restored in the quoted texts. 1 "Lexical Aids to the Old Testament," Hebrew-Greek Key Word Study Bible, p. 1626. 4 Many of the faithful followers of Yahuwah that have gone before us did not have the light that we have today. They were faithful to all that they had, and now it is our responsibility to embrace all that Yahuwah reveals to our generation. 5 Harris, R. Laird., Archer, Gleason L., Waltke, Bruce K., Theological Wordbook of the Old Testament, Moody Publishers, 1980, Entry 804a, p. 348, emphasis supplied.